Its just after midnight and the feeds have been on for all of three hours. We already know so much that won't be revealed until Wednesday at the earliest. And some things that may not be revealed for weeks. The HGs are getting ready for the POV competition tomorrow or Saturday so we need to catch you up on who is where and won what. It turns out James nominated Jackie and Steve and Jason nominated John and Becky. Then apparently John and Becky defeated Jackie and Steve in the Battle for the Block so they were saved and James became the official HoH. Today James got to pick the Have Nots and it looks like he selected five (these 5 are definitely not in the big alliance that has appeared to form): Jace, Austin, Vanessa, Liz and Davonne. The Have Not room is designed to look like a dentist office and the Have Nots have to sleep in dentist chairs. The Power of Veto competition will take place Friday or Saturday. It turns out that the majority of the house wants Jace gone. Jace appears to be clueless and thinks that the house is going after Steve - or if Jace has his way - Jason. It appears to me that the house currently (loosely) shakes out as follow if I had to divide them up. Jace and Austin seem to be very tight - over the top tight. Liz, Vanessa and Davonne are also have nots and all Have Nots seem to be NOT in the main alliance. Steve is nominated and if Jackie is to be believed he is the more likely to be voted out before her. Not sure where John falls or Becky. Thats all 16.... We will know much more in the next day or two. Jace and Austin are so overconfident in their situation. If things go as expected Jace will be stunned and Austin really mad when Jace is voted out - assuming he gets nominated. On the mystery twin front - I am now solidly in the camp that thinks its Liz (and her twin Julia) - I think they may have even switched tonight as I noticed Liz's bandanna completely change (I realize Liz may have just reset it but we are looking for any clues. Here she is on the left around 9:20pm and then about two hours later. Could this be two different people? Tell me your first impressions and of course please sign up for the live feeds if you haven't already by clicking on a link on the site!! 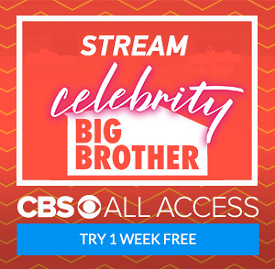 Big Brother Live Feeds now part of CBS All Access. Sign up here for exclusive content and more! 1 week free trial. I NEED THE NIGHT OWL!!!!! !